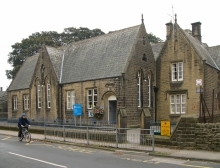 Sutton-in-Craven has a Church of England Primary School and a Community Primary School within the village which cater for 4 -11 year olds. There has been a school within the village for at least 100 years and it has always been an integral part of village life. The current board of governors on both schools is made up of teachers, parents and councillors who show a keen interest in the successful future of the schools. There are currently 87 children at the Church of England school and 172 children at the Community primary. There are a number of playgroups which include: Tommy Tots pre-school, Holme Garth nursery, Baptist Church pre-school and a Mother and Toddler group held at the Pavilion on Friday mornings. Classes, clubs and organisations currently held in the village Hall include Line Dancing, Old Time Dancing, Weight Watchers, Health Wise, Art Club, Indoor Bowling, Flower Club, Mothers Union, Sutton Amateurs and the Allotment exhibition. Is the existing pre-school, school and adult education provision in the village adequate?